The measure was introduced by Bill Shorten to win votes from the “poor majority” by stopping the super wealthy, who were in a tax-free environment, getting tax refunds. 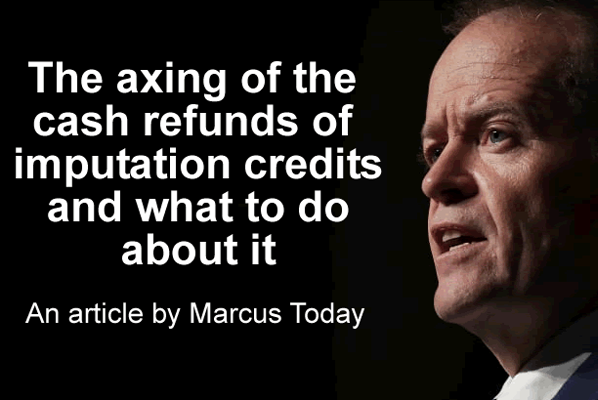 In introducing the proposals, Bill Shorten used an example of an extreme franking credit refund of $2.5m to a single SMSF in the 2014-15 financial year. But in the end, it is the 610,000 people with less than $1.6 million in their super fund that will be hurt the most. The super wealthy (those with significantly more than $1.6 million in super assets), since the introduction of the $1.6 million transfer balance cap on super pay 15% tax on investment earnings and capital gains (if the asset was held less than 12 months or 10% if held more than 12 months) and as such will be able to utilise the benefit of franking credits to offset that tax. In many cases, for the super wealthy, the introduction of the $1.6 million transfer balance cap and the removal of cash refunds of franking credits ends up being a nil sum game – no refund, but no tax payable, because the 30% company credits are offset by the 15% super tax. In other words, the franking credits negate tax on earnings above the $1.6 million. The wealthy still get the use of the imputation credits whereas those with less than $1.6 million in super, on the other hand, simply lose the tax refunds altogether. The Liberal government suggested in March that 97% of people who get the franking credit refunds already (1.17m people) have a taxable income below $87,000 and more than half of them have taxable income below the tax-free threshold. Lobby groups say that it would cut $5000 worth of income from the median do-it-yourself super fund retiree earning about $50,000 a year. But the real indignation comes from the idea that the companies have already paid tax on their dividends and that the government is simply intercepting other people’s money. The issue has obviously come back into the spotlight because the Liberals have momentarily/permanently imploded making a Labor government at this point look more likely than it was and more likely than a Liberal government. Sportsbet (not that the betting agencies have been any good at predicting elections) have Labor paying $1.25 for an election when compared to the coalition at $3.50. We have had some client contacts asking what they should do about the potential loss of cash refunds of imputation credits. Here are a few points on that but the first is don’t get emotional – it will not help. The emotion over this issue is unprecedented. So much as mention the removal of cash refunds in polite company and prepare yourself for an hour’s worth of indignant lecturing about how unfair it is. Someone has to lobby, someone has to make an effort, and there are a variety of ways for you to support that effort. I am more concerned in this article to address the question, assuming a government gets in that removes cash refunds of imputation credits, what does it mean and what do I do about it. It may never happen. Labor may not win the next election. Even if Labor does win the next election, they may have to water down the somewhat unforgiving stance they have taken so far. They can afford to play tough right up until they lose the votes of 660,000 SMSF superannuants. If they need them, this policy will be reviewed and may even be forgotten. Forgiving it might even win them votes they weren't going to get, such will be the relief. Even if Labor does win the next election and pushes ahead with an uncompromised policy on this issue, they still have to get it legislated. If there is a hung parliament, even if there isn’t, they may still struggle to achieve it. Even if Labor does win the next election and get the changes legislated the current intention is that it would only be introduced from 1 July 2019 onwards. If they don't get a clear majority it could get delayed to say 1 July 2020. Either way there is going to be a window of opportunity to exploit the current system, to collect franking credits and have them refunded (depending on whether Labor changes the timetable). That window of opportunity to exploit the current system may lend even more emphasis to being in stocks with fully franked yields this year while you can still utilise the imputation credits. Companies will also have this small window of opportunity to empty any bloated franking accounts through share buybacks with a large dividend component and through special dividends with franking attached. It may just be the case that the 22 months before June 2020 end up being a super bumper year of franking giveaways by corporate Australia. So don’t jump out of the big fully franked high yield stocks yet. Don’t get too concerned about the “whole market” turning its back on the high yielding fully franked stocks like the banks and Telstra. The section of the population that won’t be able to utilise franking credits and may desert such stocks is the minority in a zero tax environment with less than $1.6 million in superannuation. The international institutions that hold up to 40% of many stocks will not be affected at all. They never got the franking anyway – they won't be selling anything because of the change. It is not positive for the stocks involved, but it is not universal, and the adjustment will not be made until the legislation passes and even then probably not until it comes into effect. In other words, the bank sector will not be dominated by this issue, there are plenty of other sentimental and fundamental issues that will overwhelm this one. Predictable recommendations – For those that do get caught by this change, if you get caught, then the obvious advice from my industry will be to look to replace the lost income with some other return. This will manifest itself in a few recommendations, but all of them are effectively saying the same thing, how do you get a higher return without franking. Some of the recommendations will focus on yield, buying the lowest risk stocks with the highest yields to replace the lost franking. Hence the predictable recommendations to buy hybrids or REITs or bonds (Note: hybrids still include franking and will only yield around 4.5% without it, REITs offer a range of yields many of which aren’t franked and are lower than an unfranked bank, and bonds yield next to nothing). Other recommendations will tell you that you have to take more risk for a higher return (and they are right) and in so doing the focus shifts from yield to a higher total return (capital plus income), which, oddly enough should be your constant pursuit, not a new pursuit. Those recommendations will also very likely suggest that you desert Australia and invest in global equities, at least that’s what the global equity fund marketing departments will tell you, this is their opportunity to snag your interest. Other recommendations, self-interested recommendations, will tell you that now is the time to buy ETF’s which do not rely on franking as their major benefit, they rely on boring returns with very little risk relative to stocks. In the end, there is no one answer, and you will have to choose between a low-risk yield or a higher risk investment with a focus shift from income to capital. This will involve a focus on share price growth rather than income and franking, and that will scare many retiree investors who pay little attention to share prices. Its great for me – the Marcus Today fund is solely focussed on capital growth. Property – Some investors might decide to abandon equities and to look at property. They are very different investments. You don’t have to mend the toilet at BHP or worry about whether your tenant is going to burn the place down. You can sell shares on the click of a mouse; property is illiquid. Your choice. Both asset classes require skill and experience, and my guess is that an equity investor will struggle badly with the engagement and commitment needed for property investment. They are not the same. The franking shock might be a good thing – if this legislation snaps some investors out of their zombielike pursuit of franking credits it might be the best thing that ever happened to some investors. Buying high yielding stocks by definition means buying mature companies with limited growth opportunities who can find nothing better to do with their money then return it to shareholders. 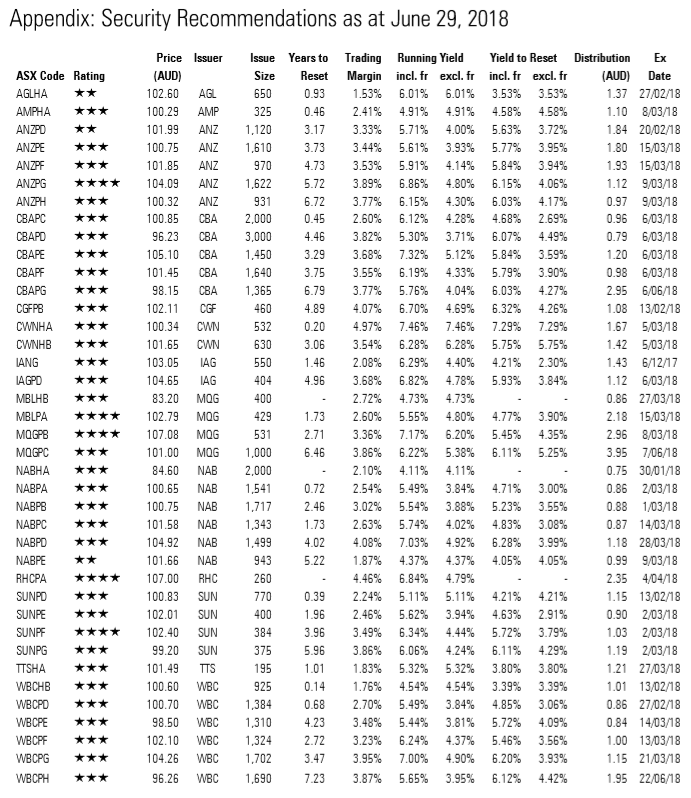 In general, these stocks are by their nature, dull under-performing stocks. As such, in pursuit of franking credits, many investors have committed themselves to a lower total return because the share prices of mature stocks don’t grow as much as stocks that are in growth industries and don’t pay high dividends but reinvest returns. This franking “shock” might just shock some investors out of this rather mediocre game of buying low growth stocks with high yields which have for years distracted them from the growth available in the stock market generally. Ask any American and they will tell you that bonds are for income and equities are for growth. This is why so many American companies continue to pay no dividends despite sitting on mountains of cash because they know their job is to achieve a high return on equity and use their profits to fund that growth. American companies know the folly of chasing income, because it is in the US investment culture, to grow earnings not to return capital to shareholders so that they can earn 2.8% in bonds. It has always rather amazed me, the Australian appetite for income stocks, and it is because of franking, and the companies have pandered to that demand. That’s why the Australian market yields 4 ½% against the US market on just over 2%. Because we have a population of investors seduced by a tax fiddle rather than the main game of trying to make money out of capital gains. The 45-day rule becomes redundant for some – For those of you in a tax-free environment that have had to concern themselves with the 45-day rule, if you’re not going to get the franking, you can now forget it. Buy and sell stocks and strip the dividends at will over any timeframe. Moving money out of super – There are some suggestions that you move money from super into your personal name to take account of your personal tax-free threshold and pensioner tax offsets. Be bloody careful before you do that. Individuals investing in their own name are also impacted by the loss of franking credits (unless you are a centrelink pension recipient). It may create a CGT event, there are selling costs, it might affect Centrelink payments and you may not be able to put the money back into super if you wanted to. Watch out for predators with fancy new products – Beware predators creating products tailored to your insecurity and anger and marketed as a solution to the loss of franking credits. There is nothing for nothing in this world, but this issue has created a demand for some sort of franking credit replacement. Someone will come up with a product to fill the gap, and while they market something that may appear to meet that want or need, as always with these things, like the fads in ETF’s, there is always a price to pay tomorrow for the benefit today. This is a huge marketing opportunity for product creation. Beware someone promising a franking substitute, they have their other hand in your back pocket. Some margin loans will no longer fund themselves – For people using franking credits to pay the interest on a margin loan, as many margin loans have marketed themselves, margin loans will become less popular. If it’s gone it’s gone – don’t blow the nest egg trying to get it back – The main point to take on board is that if the franking goes, it’s gone, and if you need to replace it you will need to take more risk, which includes a focus on share prices and timing stocks, or accept the loss and keep a low-risk profile in something that has a reasonable yield. Those investments might still include the banks, Telstra, utilities, even if you can’t get the franking back. Better you accept a lower standard of living than you blow your capital trying to get back what has been taken away. If the proposed change did come in maybe Australian companies would change to the American way and pay very little in dividends and grow their businesses. What would a bank look like that had so much of its own funds that it didn't need to borrow at all? If the Australian corporate tax rate dropped the franking credit portion would also reduce – this global trend is well overdue to hit Australia. Falling franking credits will happen its just a matter of when. The mistake in the proposal was to rush for the low hanging fruit (eg SMSFs) without tackling the growth in franking credits overall. An isolated approach. In doing so the proposal ignored equitable considerations, eg a well -off member of a retail or an industry super fund in tax free pension phase receives indirectly the benefit of franking credits because overall the fund pays tax. Perhaps a reasonable argument can be launched as to how the proposal manages to differentiate between a pension phase SMSF member and a pension phase retail/industry fund member on equitable grounds, after all neither member pays tax. Completely agree with your conclusion that the only way for a SMSF hit by this is to take more risk in seeking tax free capital gains to replace the lost income from the franking. In our case some $30k pa so not immaterial to lifestyle over the years! We are also penned in by the rule which says we lose our healthcare card if we move to a different pension scheme ie industry super etc. 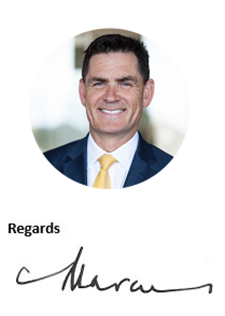 The biggest beef I have is the lack of balls of the pollies to address the overhanging problem they have of individuals taking their money out of super, blowing it down the rhine or the danube and sticking their hand out for the pension, ironically then getting franking credits back apparently. Unless they stop this ability to access all super by making income received as a pension taxable in the individuals hands with suitable credits for tax already paid then they will suffer greatly down the track. By doing so they will also make getting money out of super an individuals choice and stop sheetloads of money being withdrawn in any one year with impunity. That of course would require very large round objects and I have no evidence since Howard that these have been passed down genetically to the dills we currently have in charge of the asylum. Investment in Listed Investment Trusts (not companies) of which there are some keep the franking internal and pay it out I believe. Buying good growth companies can work by just selling 5% or so of your holding each year – if they have grown better you are in good shape. – many US investors do this. Don't forget infrastructure usually no franking – like property. Multi-asset funds are pretty safe (GROW, DMKT) and have very little franking and return – in total – 5-6%. International ETFs and Bond funds (hedged) can help – focus on growth not income. Industry funds and pooled funds will still be able to claim franking credits. So even if you are over 60 and tax free, they will still attribute franking credits to your equity returns. This is what makes this tax approach by labor so discriminatory, if you are in a union fund you get your credits, whereas the same investor in a SMSF misses out. Hence to keep your franking credits you will be forced to move your equity portfolio in your SMSF to an industry fund. The unions will be delighted with the additional inflows. Why single out only this retiree group? If it is so acceptable to take away, for many, this much needed additional income in the form of imputation credits from SMSF retirees, then lets do away with them across the board. This simple action would create a far more level playing field but in addition, it would create an environment that could increase international investment into Australian stocks (overseas investors do no benefit from our unique imputation credits feature). It may be a great thing for our markets overall. I realise mine is a rather simplistic approach but it would be an effective measure to support the notion of all parties being treated the same (democracy at work). If it is acceptable to deny a non working (no tax paid) SMSF Australian an average $6K imputation credit payment, then it should be equally manageable all other parties (particularly the big super players as well as income earners). 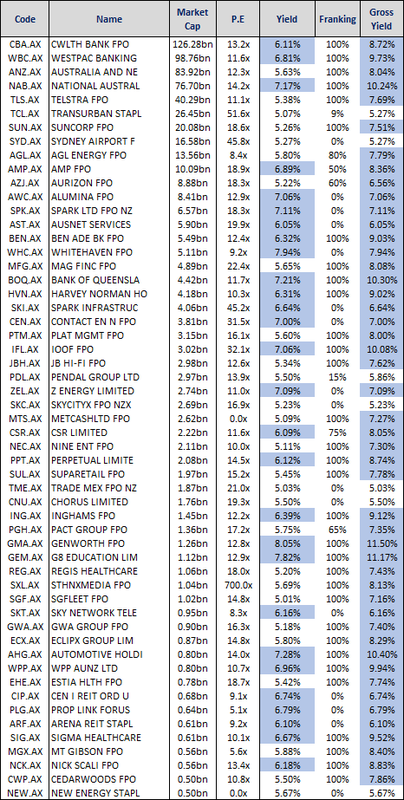 Not that it has any relevance at this very premature moment in time but I have been asked for a list of high yielding investments that don't include franking. 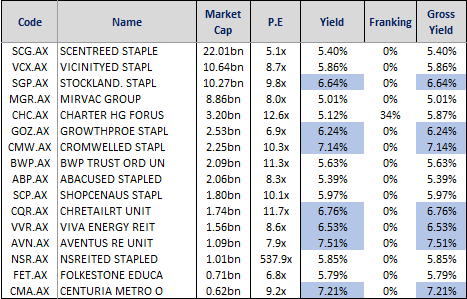 Here are some higher-yielding stocks and hybrids. Want more valuable insights like this? Why not take a 1 month FREE trial of the Marcus Today Newsletter.